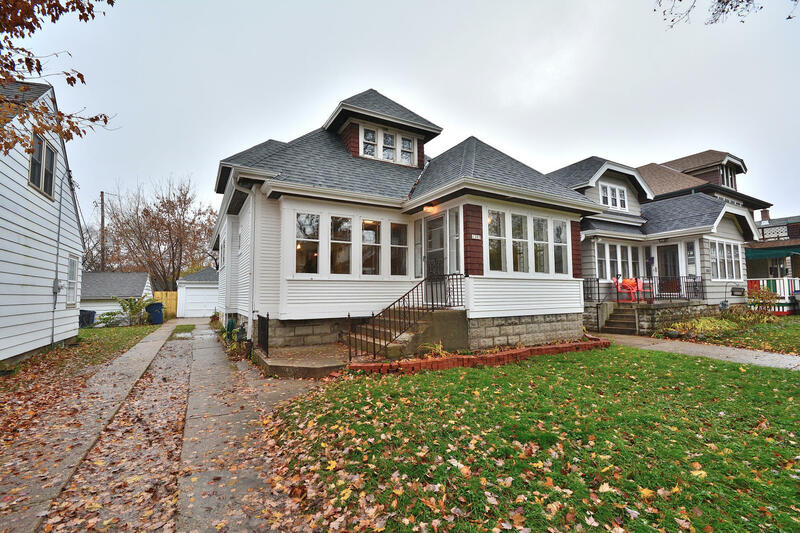 Classic 3-bedroom Milwaukee bungalow near Hawthorne Glen Park. Home is loaded with charm and character. Main level features hardwood floors throughout, two bedrooms, living room with built-in cabinets and electric fireplace, a formal dining room with leaded glass windows and built-in buffet, plus a kitchen including all appliances. Lots of additional opportunities in the walk-up attic...currently has third bedroom, but could be expanded into a spacious master suite. Lower level includes a rec room, 4th bedroom and full bath. Deck overlooking partially fenced back yard, 1-car garage and a short walk to the park. Pre-inspection report is available upon request.